The Hofland London Dry Gin reflects the quality and heritage of Jacob Hofland’s drive for perfection. The pheasant, known for its selectiveness of the seeds it picks, stands as the symbol for the quality of the Gin, just like Jacob Hofland. Today Hofland is still made using carefully selected botanicals in addition to the Juniper and is based on the centuries old method perfected by Jacob Hofland. Hofland London Dry Gin, is a traditionally distilled London Gin, with a fresh character because of the citrus used. We use eight botanicals and distilled alcohol from selected grain from the finest cornfields in the European Union. The typical bottle clearly positions Hofland Gin amongst other Premium Gins. The history of Hofland dates back to 1923 when Jacob Hofland started his business in the spirits industry. Inspired by the American marketing model Jacob was one of the first successful entrepreneurs after the second world war in Holland. With his company Hofland & Semeijn he was an innovator avant la lettre. He created numerous drinks that soon became popular with the Dutch consumers. In 1947 a very modern production plant was built with 3 stories high cellars to store the best distillates on oak barrels to mature before they were blended and bottled. Jacob Hofland was a true connoisseur of fine spirits and was driven by the idea to make the ultimate Gin and Dutch Jenever. His approach to producing top quality Gin and Jenever is still adhered to today in our London Dry Gin and 100% Dutch Grain Jenever. Jacob Hofland was a true connoisseur of fine spirits and was driven by the idea to make the ultimate gin. His approach to producing top quality gin is still adhered to today in our London dry gin. Today Hofland is still made using carefully selected botanicals in addition to the juniper and is based on the centuries old method perfected by Jacob Hofland. 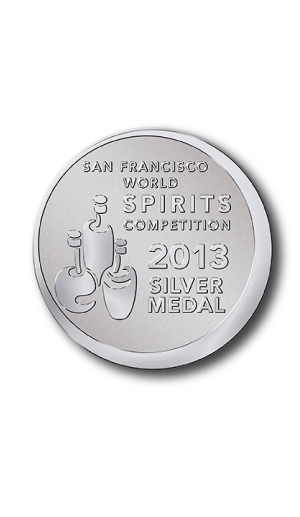 In 2013 Hofland London Dry Gin was recognized for quality with a silver medal at the San Francisco wine and spirits competition. 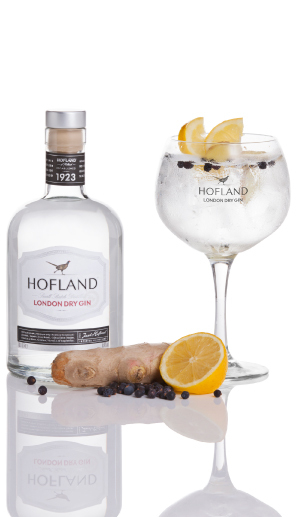 Try the Hofland London Dry Gin with a nice fruity tonic-water and ginger. Ingredients for 4 glasses: 1 measure water, 3/4 measure sugar, 2 tablespoons finely grated peeled fresh ginger, 2 measure tonic water, 1 measure Holfand London Dry Gin, 1/4 measure fresh lime juice, enough ice cubes. Garnishes: Fresh ginger, slices Lime wedges. Preparation: Combine the first 3 ingredients in heavy small saucepan over medium heat. Stir until sugar dissolves. Increase heat and boil until reduced to 1 1/3 cups, about 3 minutes. Cool syrup; then strain. (Can be made 1 week ahead. Cover; chill.) Mix tonic water, gin, lime juice and 1/2 cup ginger syrup in glass measuring cup. Taste, adding more syrup, if desired (reserve remaining syrup for another use). Put the ice in a tall glass. Pour gin-and-tonic mixture over. Garnish with fresh ginger slices and lime wedges, if desired. Raise your glass and then you say? What do you say, when you're raising your glass in Holland or Spain? The purest water from Holland, that's what used for Hofland London dry gin. The water is very soft, coming from 100 meter deep wells at the national park “The Veluwe” in Holland, known for its sandy ground with great filtering characteristics. In the old days this was also the reason why the paper industry used water from this area. Hofland Gin only uses fresh lemons to avoid the steel or bitter flavour which most times results from the usage of dried peel. Juniper gives Gin its signature fresh and piney taste. Without Juniper there is no Gin (and no Jenever). By distilling the Juniper soft sweet tones are released. The earthy taste of the root of the Angelica plant used in the Hofland Gin is grown in France and is used to keep all taste notes in balance. Orris needs time. After growing at least 3 years in the nice climate of Italy it can be harvested and dried to a very hard root that can be ground to a powder. The seeds are the most important contributor to the citrus tones in the Hofland Gin. The seeds are carefully selected after having grown. The vanilla from Madagascar gives a nice creamy note, but it’s balanced by the earthier Angelica and enhanced by the citrus of the Lemon and Coriander. 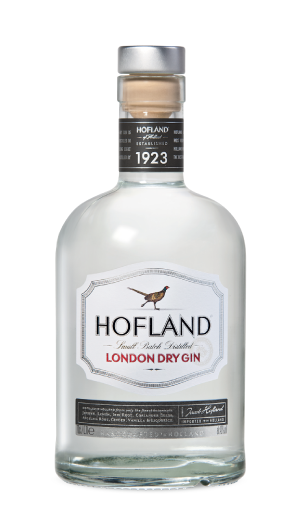 The licorice from Turkey gives the Hofland Gin the extra sweet note combined with the Anise aroma for a great tatste. The juicy Lemon from Murcia Spain provides the Hofland London Dry Gin with a nice citrus flavor, sweet and juicy Our lemons are hand-picked. The Ginger from India gives the Hofland London Dry Gin an exotic flavor with a nice bite that ends in a long taste with the note of lavender.